The “Good Dog! Seminar” (RACE Program #463-23841) provides Veterinarians and Vet Techs with 8 credit hours of AAVSB/RACE Continuing Education. You'll also learn how to increase clinic revenue from $75,000 to $200,000 annually. This course will provide the training and know-how to turn the basic principles of canine behavior modification into a new profit center in your current location. Veterinary professionals — and anyone working with dogs — will learn the techniques found in Donna Chandler's nationally-acclaimed Good Dog! 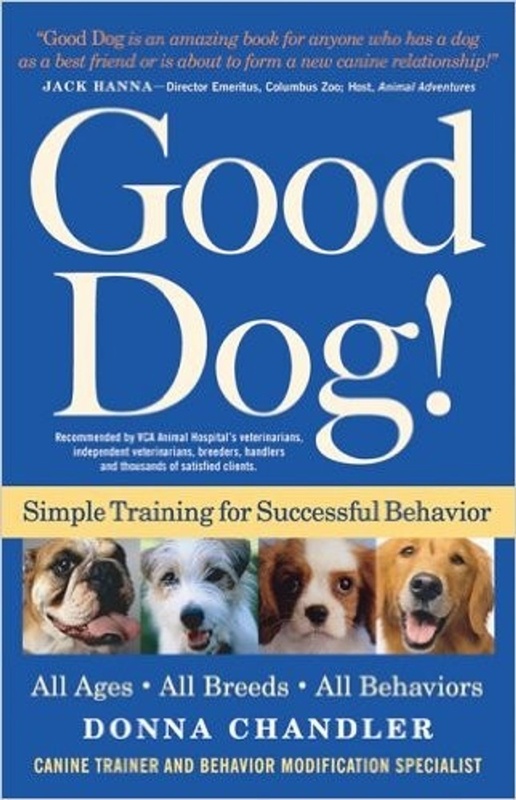 book, which dramatically improve the lives of pet-owners and their dogs. This program 463-23841 was reviewed and approved by the American Association of Veterinary State Boards RACE committee to offer a total of 8.00 CE Credits (8.00 max) being available to any one veterinarian and/or 8.00 Veterinary Technician CE Credits (8.00 max). This RACE approval is for the subject matter categorie(s) of "Category Two: Non-Scientific-Clinical" using the delivery method(s) of Seminar/Lecture Interactive-Distance. This approval is valid in jurisdictions which recognize AAVSB RACE; however participants are responsible for ascertaining each board's CE requirements. The 2-hour video course starts now and you have 30 days to complete it in order to receive your 8 hours of RACE credit from the AAVSB. It is a completely self-paced online course, so you set your schedule to complete the course during the 30-day period. To receive the 8 hours of CE credit, you must complete the 2-hour video course within 30 days, though you'll continue to have access to this course on devices you own.